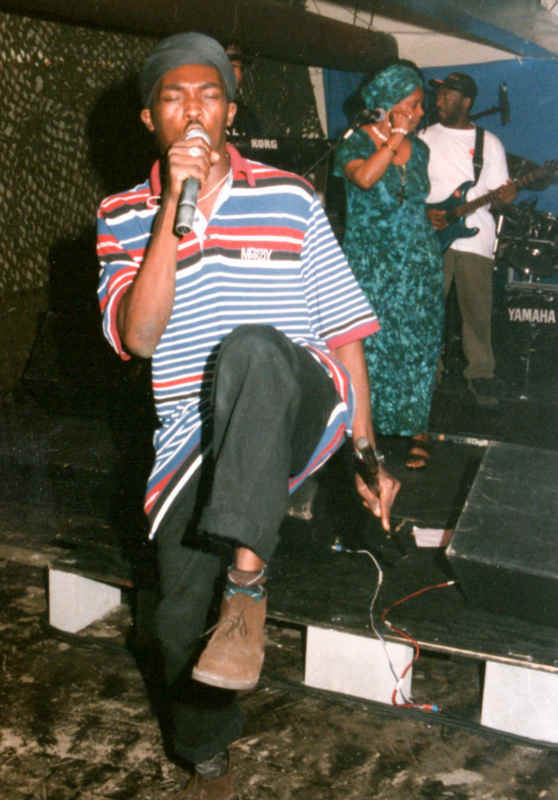 In the first half of the 1990s a new generation of singers and deejays with cultural pespectives emerged. Most prominent were the late Garnet Silk, Luciano and Everton Blender, but in these rootsmen’s footsteps followed singers such as Jahmali, Ras Shiloh, Daweh Congo, Bushman, the vocal group Morgan Heritage and a host of others. Comitted ‘cultural’ singers like these were joined by a new breed of Rastafarian deejays. Many of them were influenced by the teachings of the Bobo Ashanti elders and most notable included Sizzla and Anthony B. Dressed in Bobo regalia they often mixed deejaying with chanting/singing in cultural versions of the singjay style. The new wave of performers claiming adherence to the fundamentalist creed of the Bobo Dread faith brought another image to their militant lyrics – that of the purifying qualities of fire. Keith Anthony Blair aka Anthony B, born in the market centre of Clark’s town in the parish of Trelawny on the north coast of Jamaica, initially began recording for the Wizard label after serving apprenticeships on the Shaggy Hi-Power and Lovers Voice soundsystems. In combination with his friend Little Devon (the Half Pint sound-a-like singer) he made his debut single “Living Is Hard” for the Wizard label in 1993. 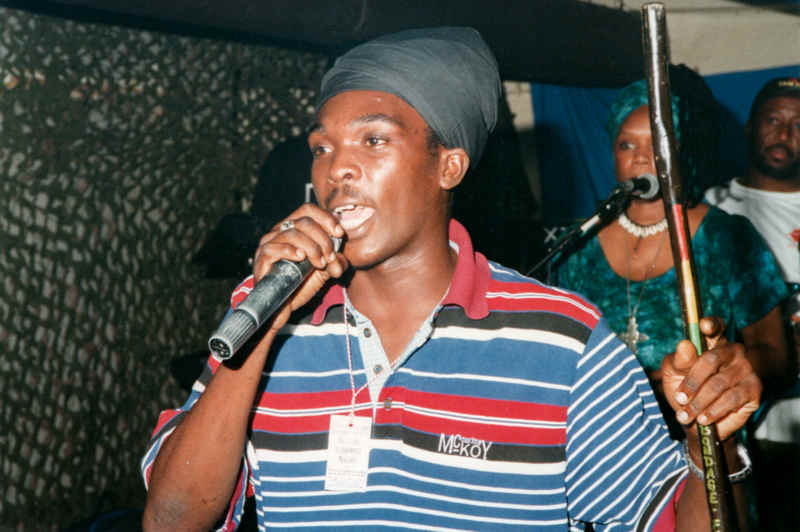 When he started to work with producer Richard ‘Bello’ Bell of Star Trail, the turbanned Anthony B caused a sensation when his lyric “Fire Pon Rome” premiered in his stunning performance at the Sting festival towards the end of 1995. The following year the incendiary lyric was heard on a Star Trail 7″ single. Despite the radio ban, the tune obviously struck a chord with many in Jamaica and abroad. In fact, the entire ‘more fire’ vogue in reggae lyrics of the years that followed can be traced back to Anthony B’s enormous Jamaican hit “Fire Pon Rome”. Following its release, equally hard-hitting singles such as “Raid Di Barn”, “Swarm Me”, Repentance Time” and “Rumour” appeared on Star Trail, along with a couple of excellent albums including his 1996 landmark debut album “Real Revolutionary” that established Anthony B at the forefront of the new generation of cultural artists. Towards the end of July 1997, Anthony B – accompanied by Axx of Jahpostles – came to M-Town (Maastricht) in the Netherlands, before he was going to make his very first appearance at festivals in Europe (Reggae Geel in Belgium and the Essential Weekender festival in London UK). On August 1, 1997 Anthony B made his unofficial ‘live’ debut in Europe, when he – backed by the Axx of Jahpostles – took the stage at the Backstage Club in M-Town. There he showed the crowd with a nearly 35 minutes lasting set why he was making a lot of noise in the reggae community. Songs like “So Many Things”, “Cold Feet”, “Raid Di Barn”, “One Thing”, “Marley Memories”, “Watch What You Eat” and “Fire Pon Rome” were delivered in a very powerful and impressive style. He also introduced “Waan Back”, a new tune across Gregory Isaacs’ classic “Night Nurse” riddim. 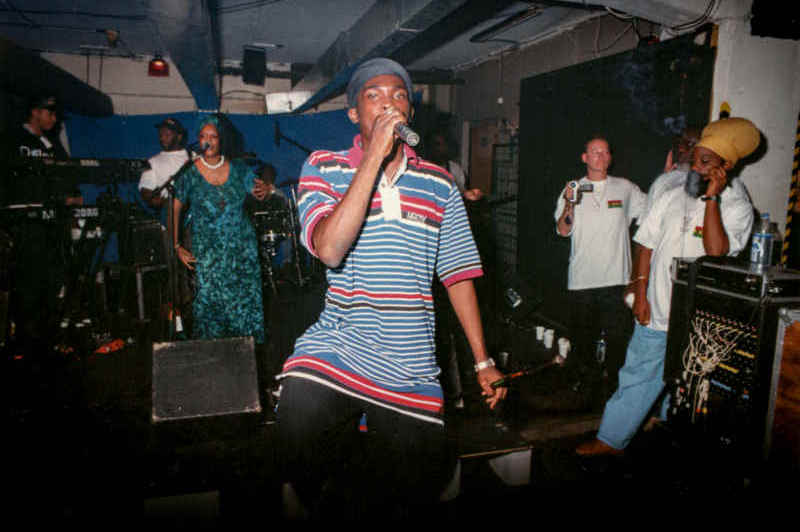 The “Universal Struggle Tour ’98” brought Anthony B and the Star Trail Posse back to Europe where he – together with Cocoa Tea, Capleton and the ragga comedian Professor Nuts – performed at a one off Easter concert at the Brixton Academy, London UK. After that concert, Anthony B and the Star Trail band went to Sweden, Germany, Belgium, Italy and… M-Town, the Netherlands, where he not only did an almost two hours lasting show on May 5, 1998, but also recorded five brand new tunes at RUNN Recording studio for his third album, “Seven Seals”. Opening his performance with “This notion” before he took the stage, Anthony B immediately got everyone involved with “So Many Things”. As expected the ‘Original Fireman’ delivered the crowd a lot of well known tunes of his two albums “Real Revolutionary” and “Universal Struggle”. In his own inimitable style songs like “Raid Di Barn”, “Storm Winds”, “Universal Struggle”, “Repentance Time”, “Bun Down Sodom”, “Cold Feet”, “Marley Memories”, “Damage”, “Waan Back” (complete with a perfect demonstration of the Waterpumping dance! 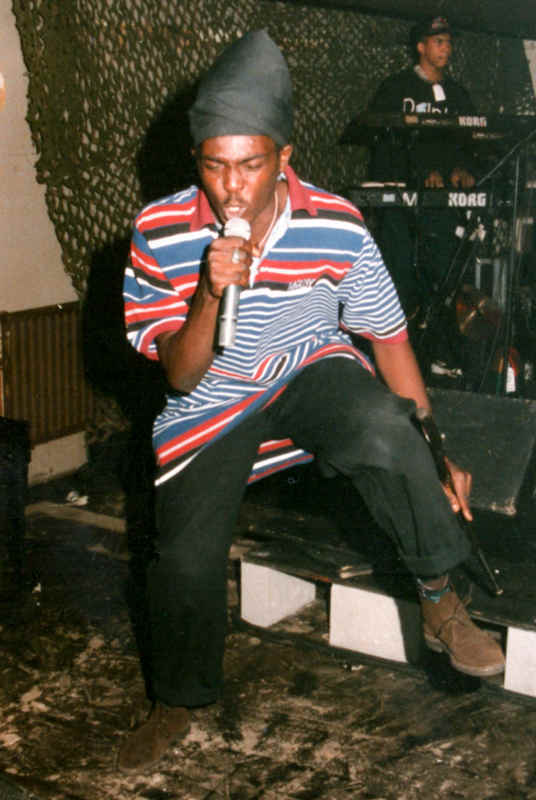 ), “Hurt Di Heart”, “Heavy Load”, “The Mockingbird”, “One Thing”, “Jerusalem” and the banned “Fire Pon Rome” (with the addition of an extra verse) were given a solid to excellent interpretation. However, he didn’t forget to focus on cuts he recorded for other labels than Richard Bell’s Star Trail. The Kickin’ Records released “Chant A Prayer”, Fat Eyes’ “Watch What You Eat” on the “African Beat” riddim and the Bobby Digital produced “Stronger” on the “Handle The Ride” riddim were also part of the setlist. But also unexpected highlights were included. Anthony B singing “Equal Rights”, “Get Up, Stand Up” and a truly wicked version of “Johnny Be Goode” from his – as Anthony B called him – mentor Peter Tosh. At one time he walked up to his producer Richard Bell, who watched the show from behind the scenes, and asked for a spliff. 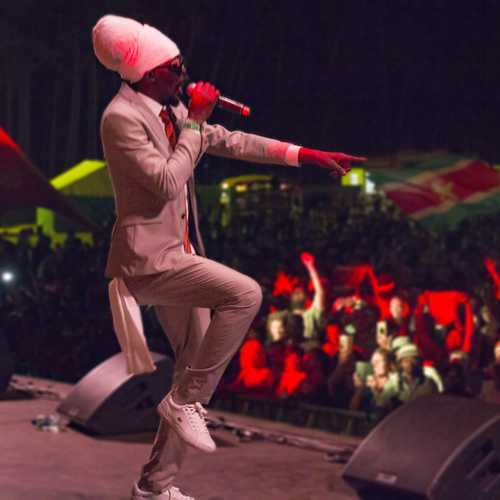 He then started singing Bob Marley’s “Easy Skanking”, and lit up the spliff on stage to underline his plea for the legalisation of ganja in general and especially in England, Jamaica and the US. And if that wasn’t enough he showed the older reggae fans that he knew more Jamaican classics. 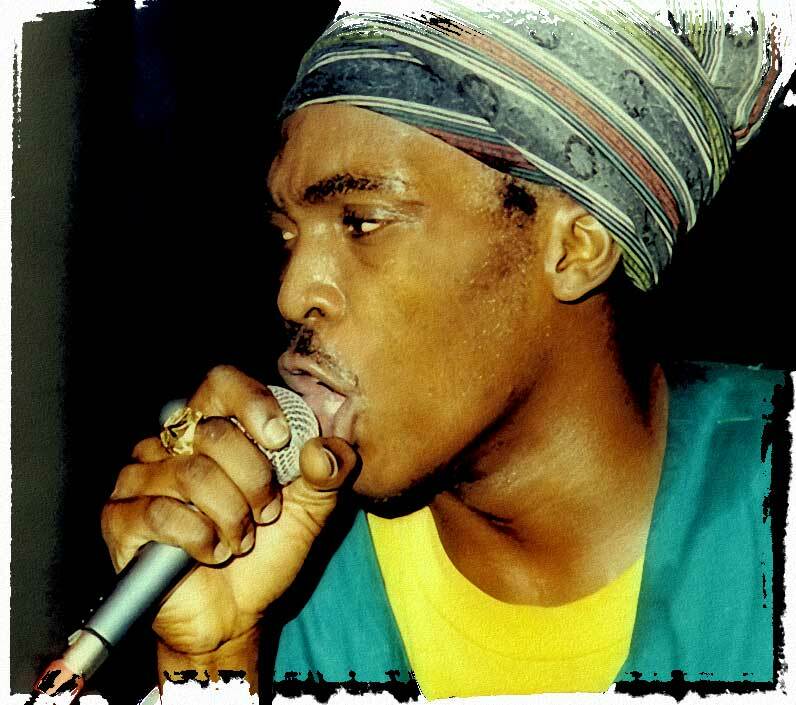 During “Cut Out That” he sung some lyrics of Sugar Minott’s Studio One classic “Mr. D.C.” and during “Dreader Than Dread”, Anthony B’s Manatee cut on the “Satta” riddim, he switched over to the lyrics of the original Abyssinians anthem. It was then that he got the excited crowd in a frenzy! The last song he performed before he came back for an encore, was Bob Marley’s ultimate reggae song “One Love”. 2018 : the Return to M-towN! 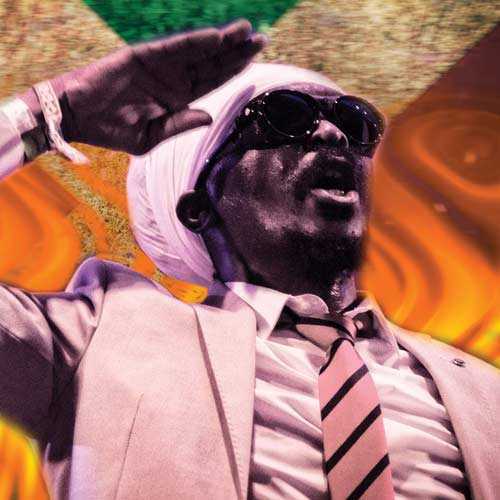 Twenty and a half years after that 1998 concert, reggae star Anthony B returns to M-Town for an eagerly awaited and long overdue follow-up concert. Be assured the ‘Original Fireman’ is going to set the place on fire! !